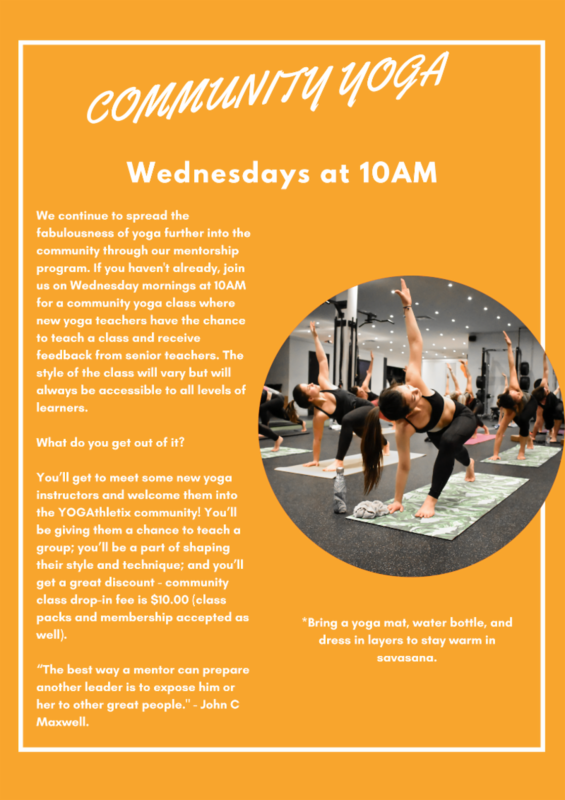 NEW Month, NEW Classes, and a Fresh NEW Look! 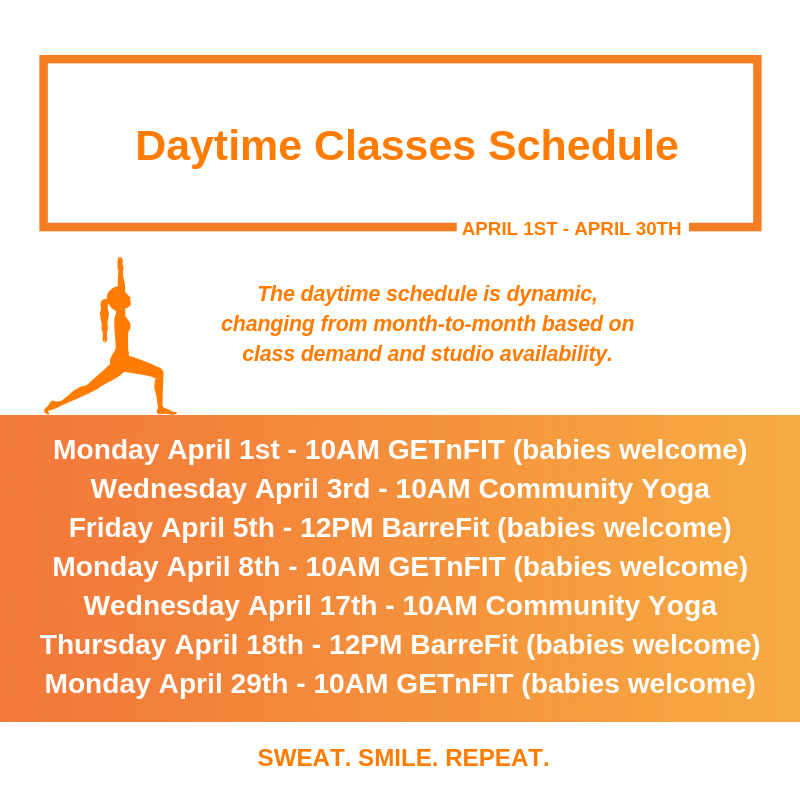 Another very exciting month for YOGAthletix; we've sprung forward, the days are longer and sunnier and this month is filled with new beginnings both inside and out of the studio. We celebrate Easter on April 21st and even though for many of us that means rabbits, chocolate and an egg hunt, religiously Easter is a celebration of rebirth. 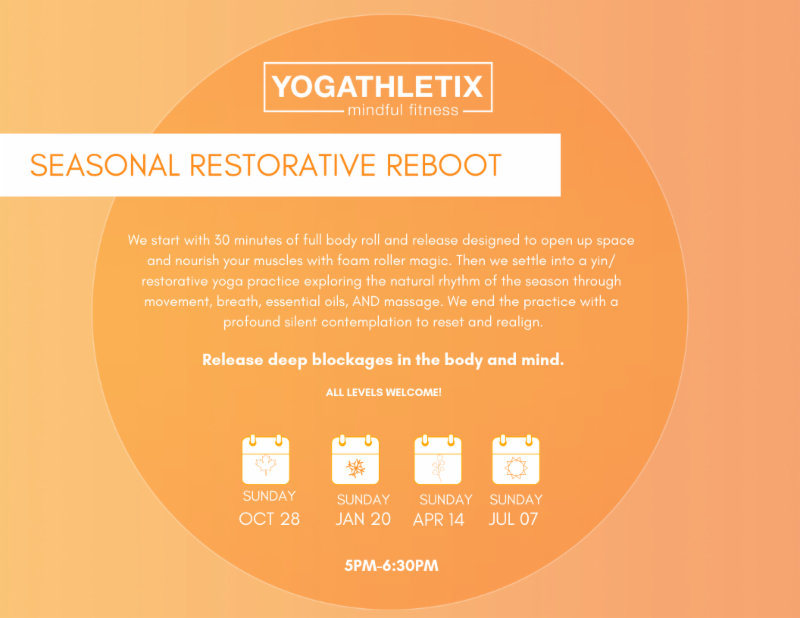 This year YOGAthletix is celebrating Easter with a studio makeover. What better way to show our strength then with a new look and feel demonstrating just how far we've come and how grateful we are for this amazing and supportive community! 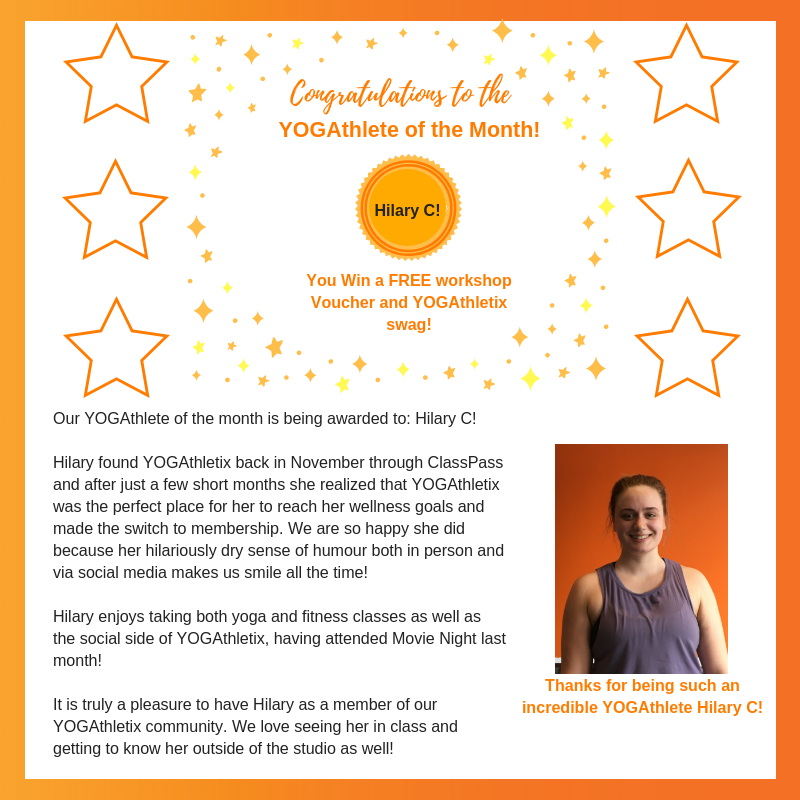 The excitement doesn't end there, we have tons of opportunities for YOU to demonstrate YOUR strength this month too: Run Club, more GETnRIP'D, a new pop-up, workshops and another free women's self defence seminar, to name a few! 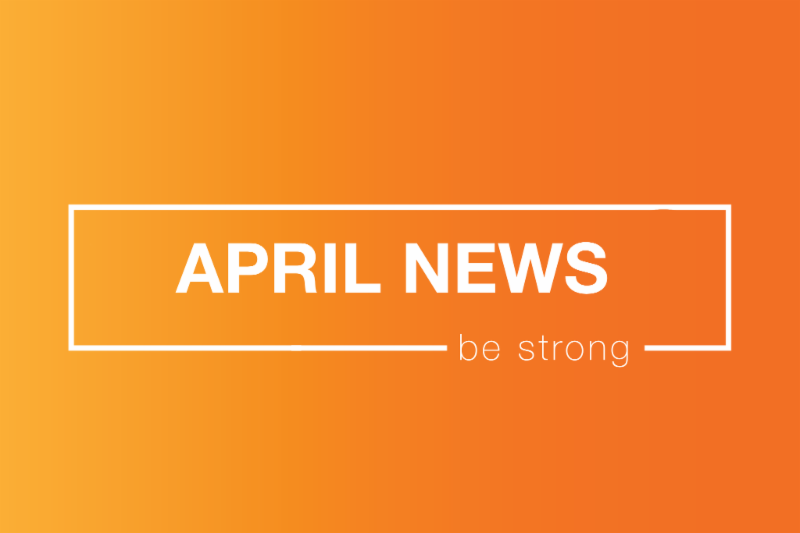 So as always, put your smile on and get pumped to read all the strong April news I am about to share! "You are stronger than you think"
Tuesday & Thursday Nights and Sunday Mornings starting April 2nd! Barley says, "kick the winter slump with that fresh spring air! 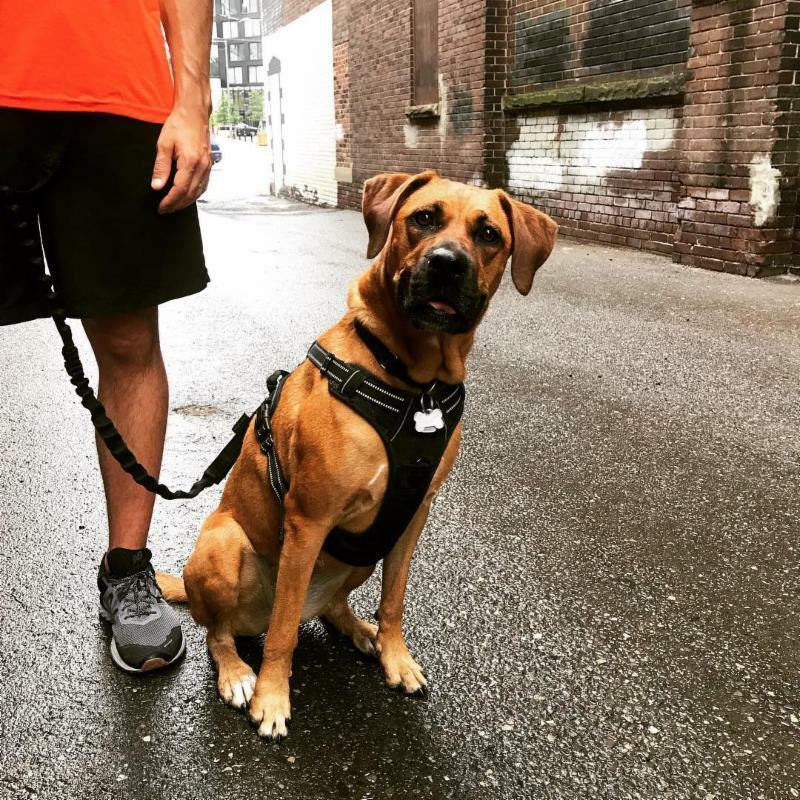 It's FREE, It's FUN and we have a judgement free canine mascot to keep you motivated! "I took up running approximately a decade ago. With no prior athletic abilities, I enlisted in a run program with a 10K goal in an attempt to bond with (erm . . . impress) a boyfriend I was smitten with. We all have our personal reasons to start running (health, weight loss, fitness, etc.) and while my reason may not have been the most noble, it proved to be one of the best decisions I have made in my life. Running launched me into a manageable fitness regime but more importantly it nourished a supportive social community that inadvertently doubled as a brilliant coping mechanism. It also reconnected me to nature, and to myself. 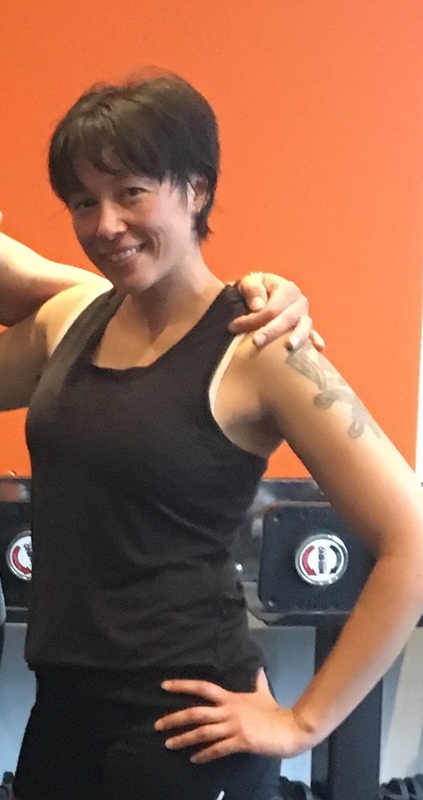 Now with five marathons under my fuel belt I can confidently boast that despite the often grueling difficulties of pounding the pavement, the simplicity of putting one foot in front of the other makes my soul feel elated and the powerful sense of accomplishment has me coming back again and again for more." 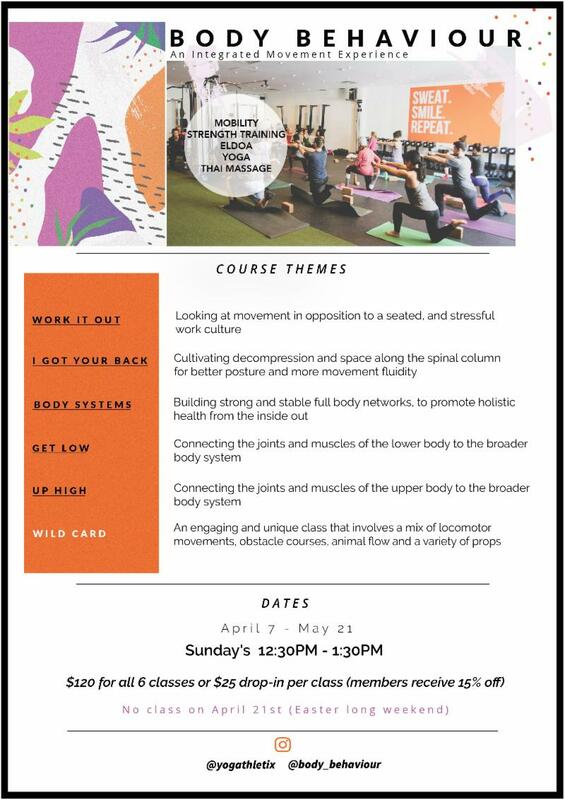 This class is intended to expand your movement vocabulary while building strength and mobility using ground-based movement techniques derived from Animal Flow, breakdance, capoeira, and gymnastics. You will start off with the basics, learning the fundamentals of flow. As the week's progress you will learn how to integrate individual moves into a sequence of movements and design flows of your own. Andrew aka "Tactix," takes a minimalist's approach to his training methods. 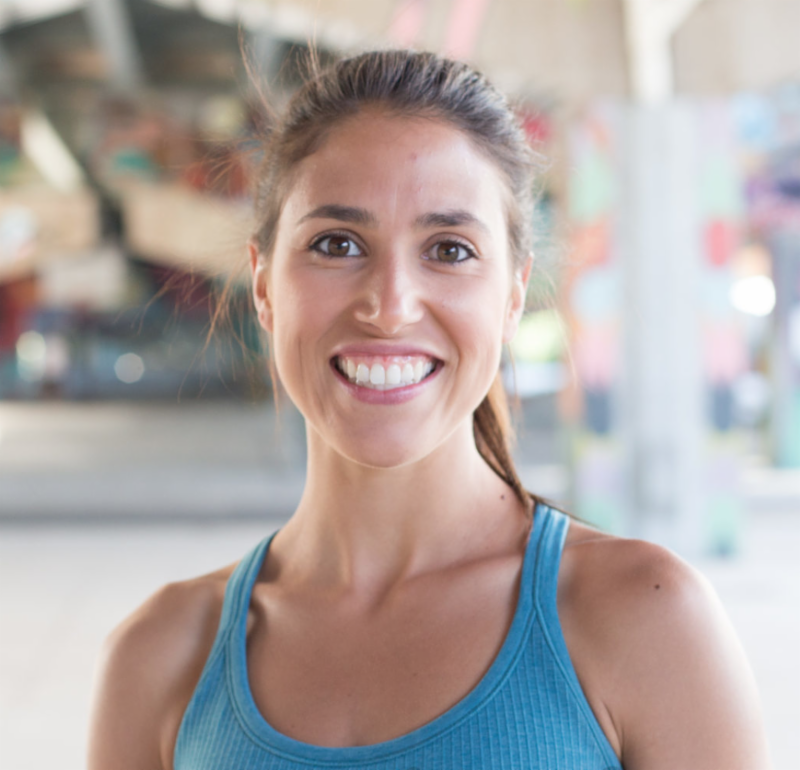 He is a level 1 fascial stretch therapist and Holistic Lifestyle Coach. 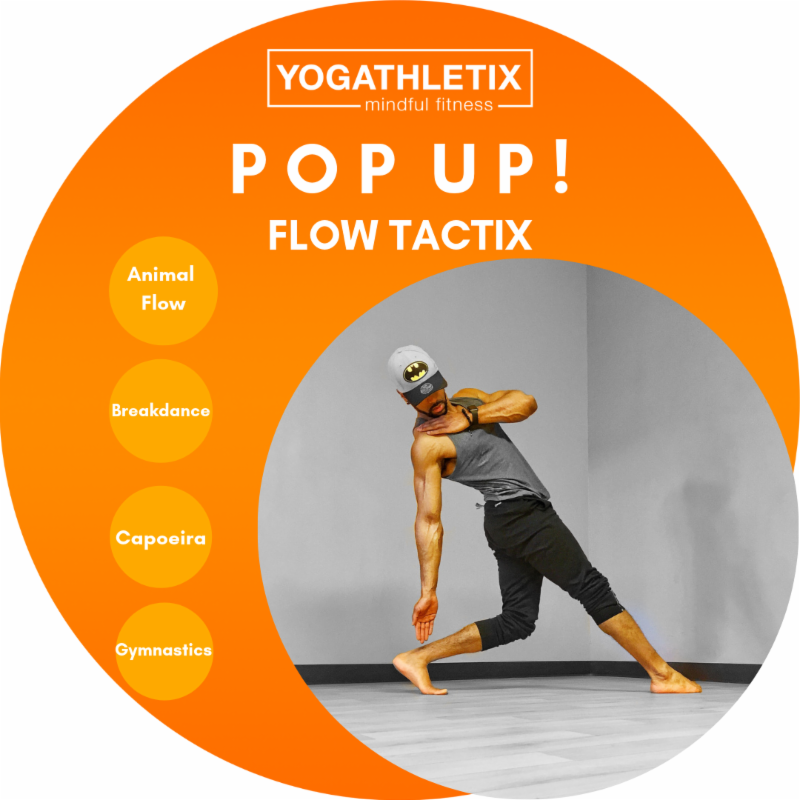 Utilizing the tools he’s learned over the years he spent partaking in different disciplines; from break-dancing to capoeira, parkour, calisthenics, and Animal Flow, he continues to explore and develop his movement and holistic practice with the intention of sharing what he’s learned with his clients to help them look, feel and move better. Want to move better and more efficiently in every other class you take! 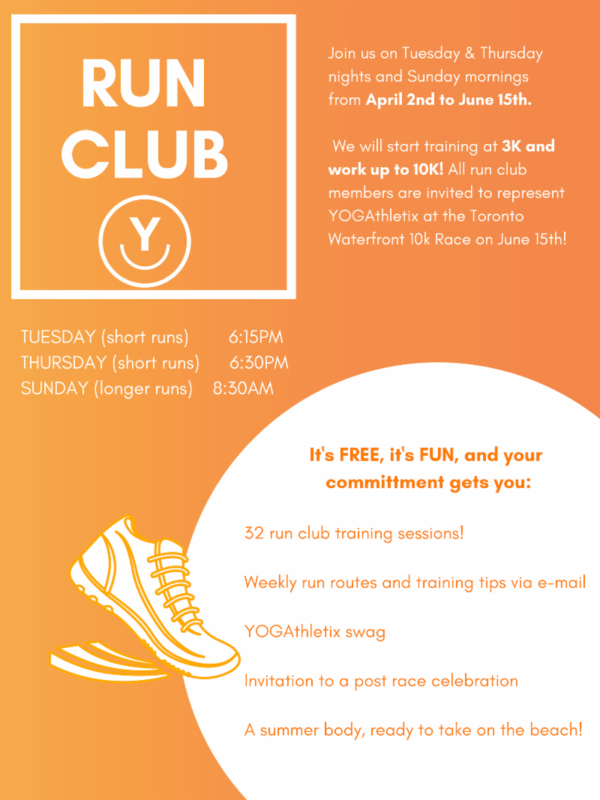 All classes are cancelled on Easter weekend but you can join us for run club on Sunday April 21st at 8:30AM and if running isn't your thing, join us for class on Monday April 22nd for the exciting reveal of the new and improved YOGAthletix! 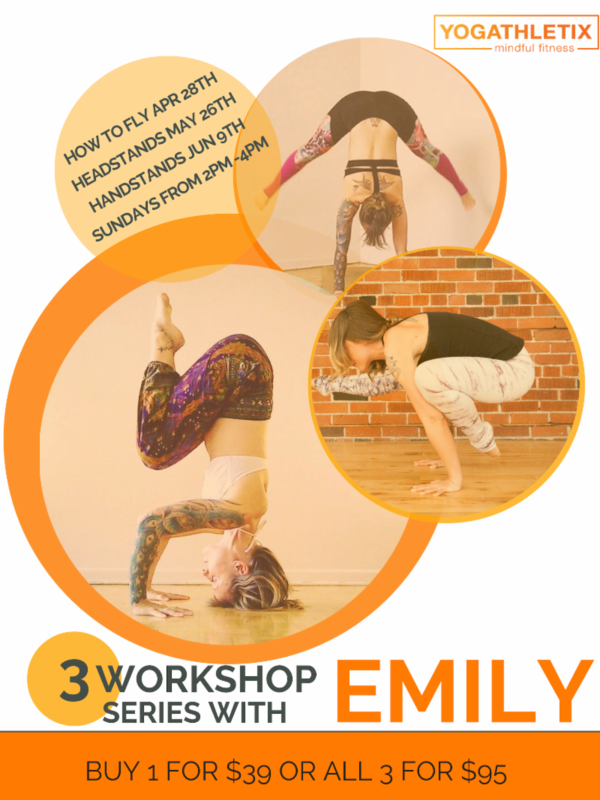 3 Workshop Series with Emily! For more information about Dr. Caitlin and chiropractic care, check out her clinic website: www.healthquestrehab.com or Instagram account: @healthquestchiro . 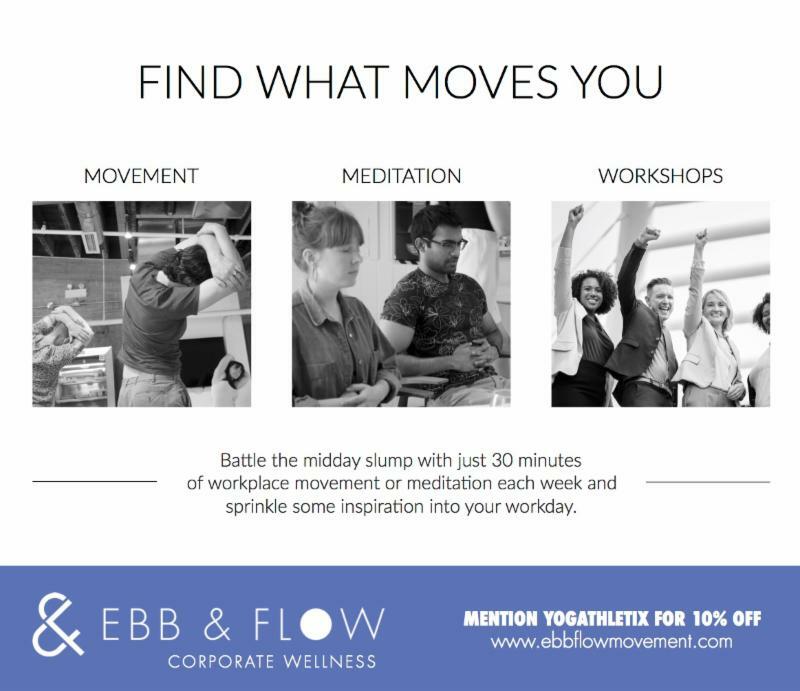 Corporate Wellness by Megan H! 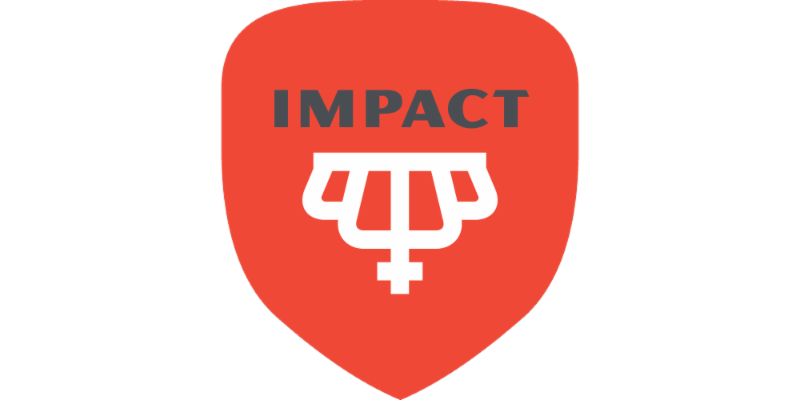 ﻿Did you know that being a client at YOGAthletix means you get a discount at Impact Kitchen?! Enjoy 15% off any purchase at Impact Kitchen when you say you practice yoga and workout at YOGAthletix!